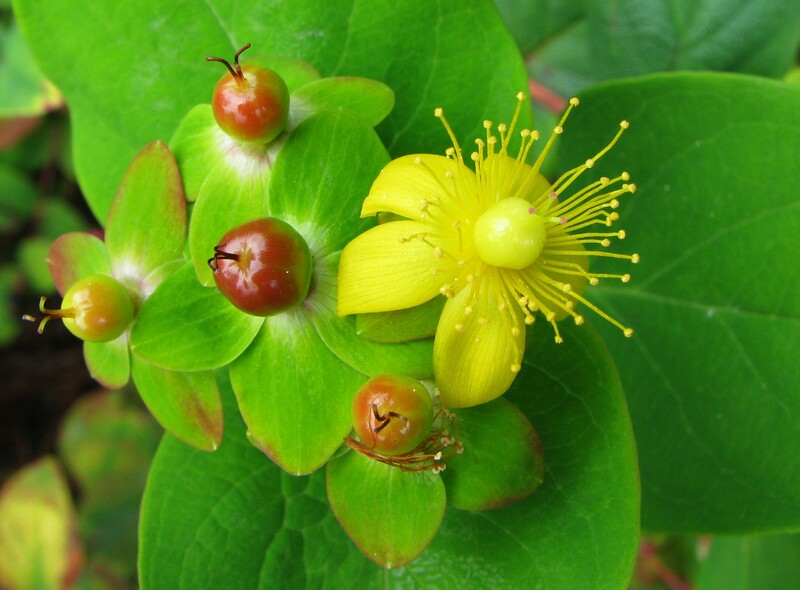 Hypericum androsaemum (sweet-amber) is a shrub (family Clusiaceae) with yellow flowers and oval shaped leaves found in the San Francisco Bay area in California. It is native to Europe and western Asia. It favors woodlands, forests and riparian and bottomland habitat. It reproduces by seed. Animals, water, mud and machinery can disperse this plant.